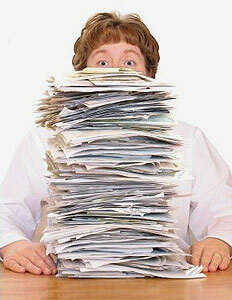 You have a huge pile of invoices taking up space in your office. You haven’t got around to entering the information onto a database yet and the thought of all of that extra work is filling you with dread. You want to spend more time doing the job you are paid to do but the invoice pile is quickly taking up more and more space in the office. We are approaching the end of the year and you have been taking a look around your office at how efficiently it is working and what can be improved in 2015. You notice that the invoice department is working much slower than the rest of the office to input data from accounts payable invoices onto a database. The invoices are piling up but you are reluctant to hire another member of staff to join the team due to increasing cuts within the business. Invoice data capture can provide a great solution in both of these scenarios. If you choose Pearl Scan’s invoice data capture service, you can have it tailored to suit the needs of your office or company. We can collect your invoices as frequently as you require such as bi-weekly or weekly, or a dedicated PO Box can be set up for you to divert your invoices to. Our experienced team will remove any fasteners such as paperclips and staples to allow for a smooth scanning process. We can then supply your electronic data in whichever format you require such as CSV and XML. We can shred your invoices, return them to you or store them for a further period as required once you are happy with your digital invoice system. Scanning your invoices using Pearl Scan’s invoice data capture service will provide a great deal of benefits to the way you work. You will have increased efficiency, now you aren’t spending all of your time or hiring another staff member to do all of the invoice input, and reduced costs. For more information about our invoice scanning service and invoice data capture service, get in touch today and speak to a member of our friendly and experienced team. If you would like a free, no obligation, quote for your invoice scanning project, fill in our online form by following the relevant links below.